Another weird anomaly caught by Mars Curiosity. Whatever this is it stands out from the surrounding scenery, could be a weird rock formation, but it does look very like a creature of some kind. If you look closely at the from legs or paws you can quite clearly see shadows beneath them, this indicates the appendages are protruding out from the main body. 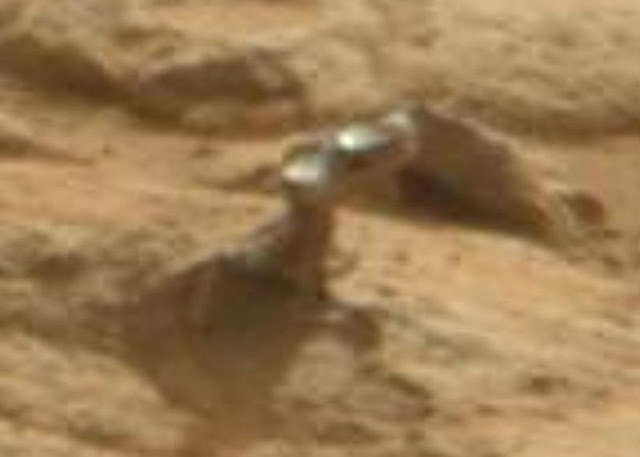 In addition, it seems as if the upper part of the object consists of a kind of metal. (maybe two different objects?). Never seen a rock like that before! Interesting shape , to me it looks a lot like a creature or reptile of some kind. The Top part looks like a toy car viewed from above! A BMW 525 E34. ....?lol I even gave you a model No. But more seriously, Am I The ONLY Person to wonder if NASA has planted its Very Own Anomalies, then photograhed it from a Different Angle so as to cause these type of bizarre questions/flaps? ...? So as to spread Disinformation amongst both the Exopolitical/Ufology communities?? What am I looking at but a blurr? What is the point of posting trash like this? This picture is NOT of "Mars". 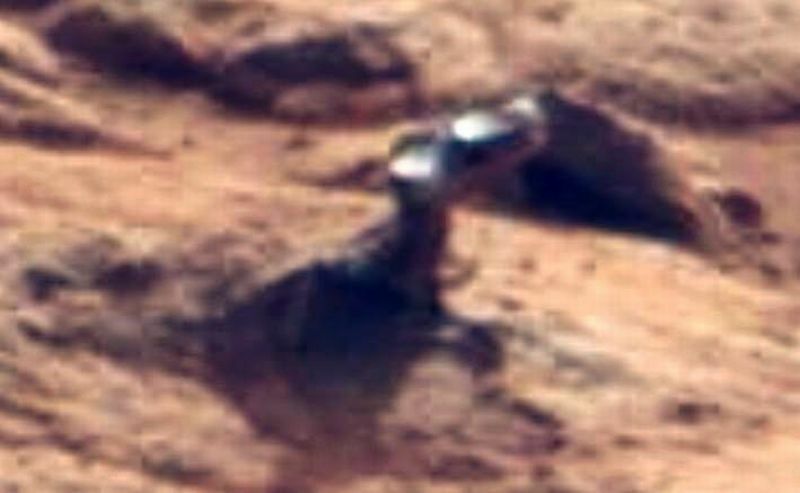 Can any one verify that this IS or is Not an authentic pic from mars? That would be helpful. In answer to some ones above post, there are Many reptiles and creatures here on earth that can have a metallic sheen or reflective capability to their skin or hide. I my self am baby sitting a Mexican black king snake for a friend that looks positively gun metal shiny in some light. The base of this sure does seem consistent with a life form be it roots and plant trunk, or perched lizard like body structure. Plant? Animal? debris? strange rocks seem the least likely this time. 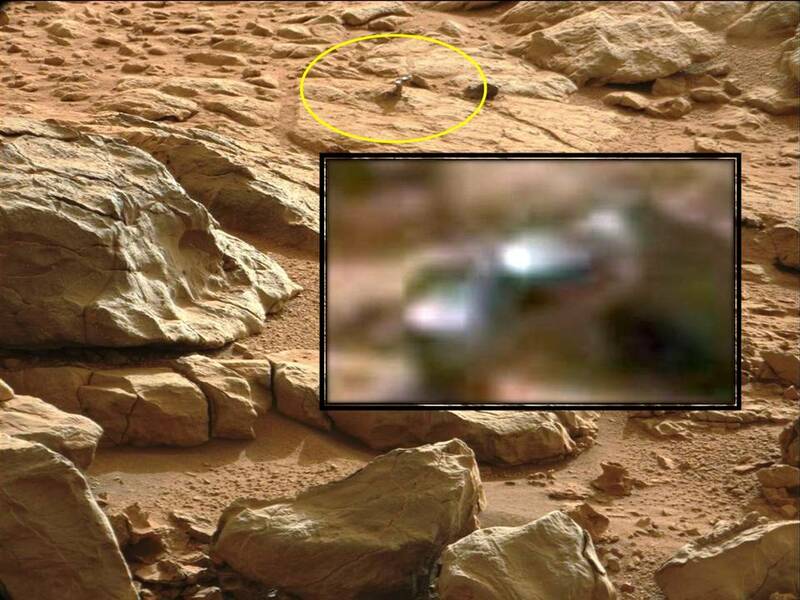 Again, this assumes the pic really is from a mars probe. Can any one verify?